YOU Industrie has a long experience of manufacturing vertical babbitt bearings for major brands in industry. These vertical babbitt bearings are mainly used in the field of hydroelectric power, for turbines and generators of large dimension. They usually have some specific technical features such as water cooling coils embeded in the babbitt metal or a bearing assembly in 4 parts (quarters). They always include complex lubrication systems with numerous holes whose machining requires a very specific know-how. Equiped with a CNC machine-pool controled through a last generation CAM system, YOU Industrie can fulfill these specific requirements thanks to 4 axes and 5 axes machinings. 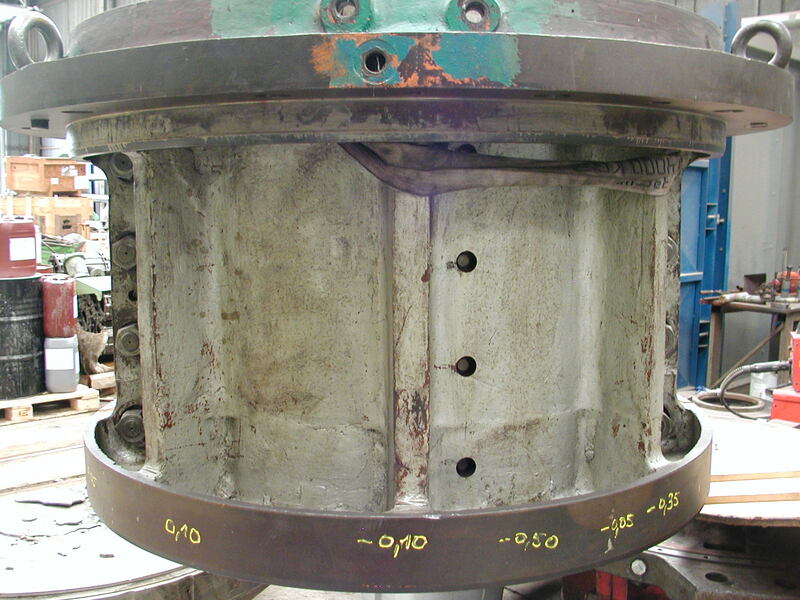 Centrifugal casting is always prefered by YOU Industrie for new-built or repairs, including for 4-part bearings.